“I recently went to the Legacy Museum and National Memorial for Peace and Justice, in Montgomery Alabama. It’s an incredibly powerful place, but the stories of women are not as prominent as they could be,” says Surina Khan, Executive Director of the Women’s Foundation of California (WFC), in a recent interview about the principles guiding her leadership. The experience of visiting the Legacy Museum reinforced for Khan the importance of gender justice impact assessments — of organizations and institutions regularly assessing whether they are paying enough attention to gender issues. Since returning to the helm of WFC in 2014, Khan has taken an increasingly intentional approach to employing a gender lens to everything they do, meaning from caterers to banking services to program grantees, it’s all about doing business with partners who align with WFC’s values. Gender justice, for Khan as a leader, sometimes also means bending the rules and changing the process, if the status quo process is reinforcing power imbalance, rather than creating more equality. This rule-bending and process-changing philosophy even applies to the Women’s Foundation of California’s internal hiring process. “The de facto [for hiring program professionals] is BA required, graduate degree preferred. We don’t have that requirement, because we take our core founding principle from our founders: those who are closest to the problem are also closest to the solution,” says Khan. In this way, WFC’s hiring process challenges the status quo assumption that a certain level of education creates the ideal candidate for a job. It also opens the position up to a wider candidate pool, possibly creating a more competitive and diverse process. The history of the Women’s Foundation of California is a story filled with re-inventing the process, with the organization merging and re-organizing as a different, larger, and more powerful entity several times over the years. Again and again in WFC’s story, the theme of convening and merging to consolidate collective power for women repeats. 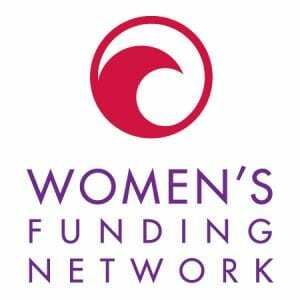 Created in 1979 as one of the country’s first women’s foundations, WFC’s founders went on to seed the formation of the Women’s Funding Network in 1985, which is now one of the largest networks of women’s funds on the globe. In 2003, the Los Angeles Women’s Foundation and the Women’s Foundation of San Francisco merged with WFC, adding to the collective strength of the organization. For Khan, WFC’s role as a convener has even more potential in the future. In fact, convening is one of the three main things that WFC is doing more of, according to its 2017-2020 strategic plan. The list of convenings that WFC will either lead or participate in is long, and includes Connecting California in 2020, which will celebrate WFC’s 40th anniversary by bringing together funders and advocates for gender justice across the state. Other convenings include one on the U.S.-Mexico border, United State of Women, and the Bay Area Women’s Summit. Still others focus on public policy advocacy and research on well-being for women in the state. “Invest, Train, and Connect” are the three approaches that WFC is using to grow its influence on gender equality issues in California. Within in this approach, WFC plans to quadruple its grantmaking by 2020 from roughly $500,000 a year now to $2 million in 2020. The grantmaking approach that WFC takes is also not your typical way of doing things, and grew out of Khan’s deepened appreciation for how larger foundations like Ford did this work. From 2011 to 2014, Khan left WFC and joined the Ford Foundation as a program officer and rose to become the Director of Democracy Rights and Justice Program. When she returned to WFC to become its CEO in 2014, she wanted to become a foundation that offered general operating support to gender equality nonprofits. She also wanted to cut out a lot of the hoop-jumping and help organizations focus more of their time on their work. “Let us do the due diligence on the front end, have a series of phone conversations, and then everyone’s time is valued,” says Khan. Further, to cut down on time spent by grantees, WFC does not have any specific reporting requirements. “We ask people to send us what they have,” she says, and WFC only does site visits if needed, not as a required part of any process.” But that doesn’t mean that WFC isn’t there for support and guidance, and some grantees do reach out for that support. The Dolores Huerta Foundation (DHF) is one grantee organization that WFC is a particularly proud of supporting. In 2005, WFC began supporting the Dolores Huerta Foundation, and since then the organization has blossomed into an important hub for community organizing in the region. Among other endeavors, the Dolores Huerta Foundation worked with the Mexican Legal Defense and Education Fund in a lawsuit in 2016 aimed at reducing Latino voter disenfranchisement. DHF also does leadership development, candidate forums, and engages with local school districts around equitable budgeting. Gratitude from DHF for WFC runs deep. “Dolores Huerta always reminds me that WFC was the first funder of the Delores Huerta Foundation,” says Khan. 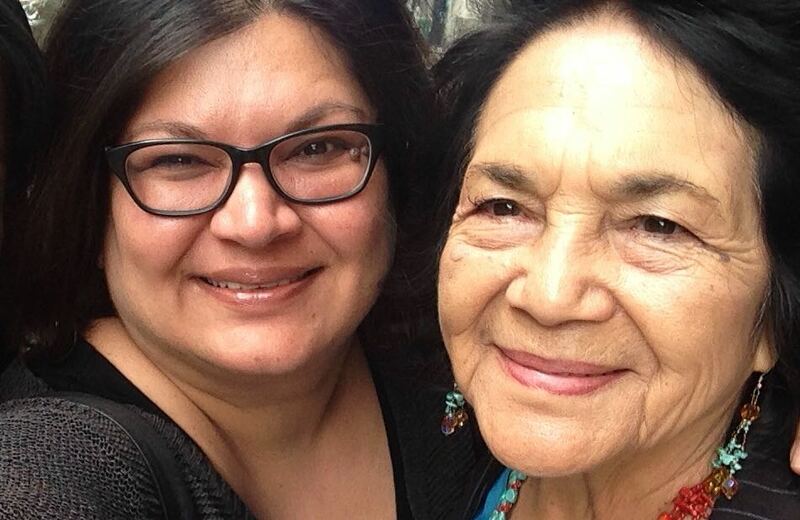 Because of her work for civil rights and community organizing, in 2018 Governor Jerry Brown declared April 10 to be Dolores Huerta Day in California. recognizing the 88-year-old living icon and activist, who co-founded the United FarmWorkers. Khan sees WFC’s role as convener involving influencing the corporate agenda as well, when possible. “In order to influence, you have to engage.” Khan has brought particular corporate funders in for closer engagement with the new collaborative, Gender Justice Funders, including Blue Shield of California and Fondation CHANEL. Engaging with corporations that want to fund gender equity is part of what WFC does, but not at any cost. “It may be at some point that it’s not worth engaging, because the values are so far apart,” says Khan, mindful of the dangers of being involved with corporate partners who are working in opposition to women’s rights with their products, services, or workplace culture. When looking for partners of any kind, Khan referenced how the gender justice impact assessment plays an essential role for WFC. That assessment, says Khan, determines the kind of relationship we are establishing with the partner. These are just some of the questions that WFC is asking as it moves forward with its strategy, seeking partners as grant funders, grant seekers, and community activists. Khan sees progress for women’s movements as slow, but steady, and expresses concern that some of the large foundations send potent, but incomplete messages. 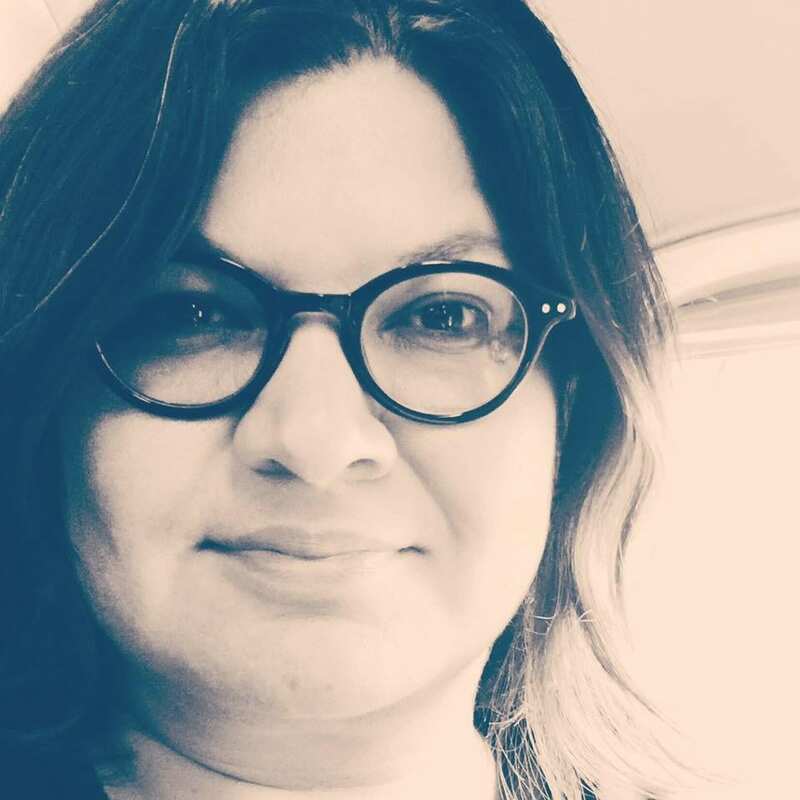 She noticed that after the Ford Foundation put out its strategy for racial and economic justice in 2016, other big foundations like Weingart, Irvine, and the San Francisco Foundation followed suit and came out with similar strategies. All were aimed at reducing poverty, but none made gender central to the strategy. Previous Previous post: Teen Girls are Leading the Way. How Can Philanthropy Support Them?